Deadlines inspire me. So does the feeling of gratitude that washes over me like a gentle wave every time something goes wrong and I know that it could have been so much worse. Last Friday I had just finished recording a podcast interview when my mom called from the Detroit hospital where I was born to tell me that my dad had just completed a stress test that revealed the need for an urgent surgery to clear critical blockage in multiple arteries leading to his heart. This kind of news is sad when you hear about other people’s families dealing with it, but when it’s your family – your dad – it hits on a whole other completely surreal level. By the time I threw some clothes in a bag and made the 2.5-hour drive from my home in suburban Grand Rapids, he had already gone into surgery. I was too late. My sisters met me outside the hospital and told me the chief of the cardiac department took my dad’s case – something that simultaneously alarmed and reassured us. It must be bad… but at least we got the best guy. The next several hours were spent in a suspended reality where a stranger and his medical team were in control. What they found and how well they performed was going to determine the next chapter for my family. We were told the surgery could last anywhere from 30 to 90 minutes. About two hours later, the doctor came out and told us the blockage was more severe than expected but Dad was OK.
“Thank you” seems like such an understatement in situations like this, but my mom, sisters and I said it repeatedly before he rushed off to do whatever it is surgeons do after saving a life. 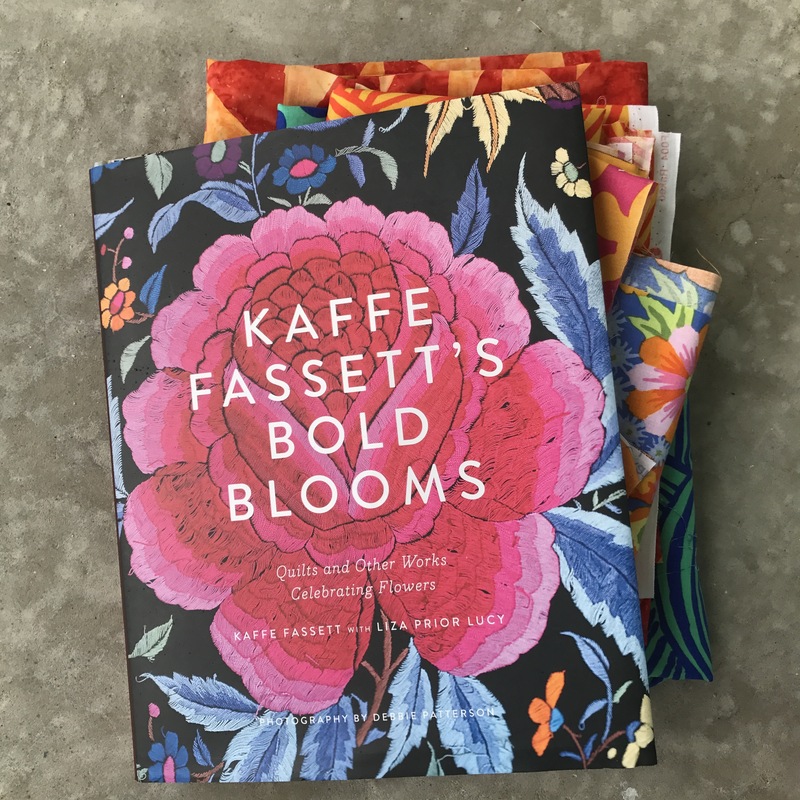 Last Friday – that day that could have gone horribly wrong and didn’t – was the day I had planned to start sewing a quilt out of Kaffe Fassett’s new Artisan fabric line for this blog post. 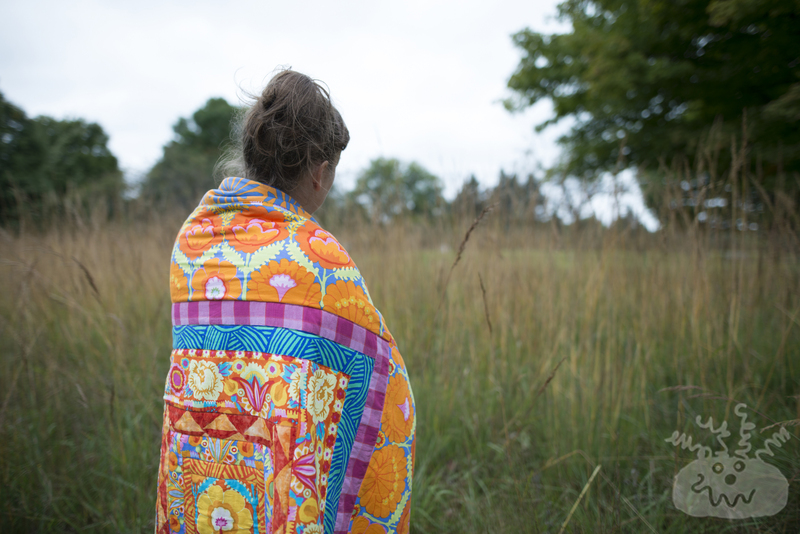 My plan was to make a quilt incorporating as many of the ideas sent in by blog readers as possible. But when I arrived back home, my perspective had changed and I realized that I needed to honor the feelings of uncertainty and worry as part of my process. I just needed to sew. Life is so unpredictable and sometimes it’s really unsettling to not know what is going to happen next. 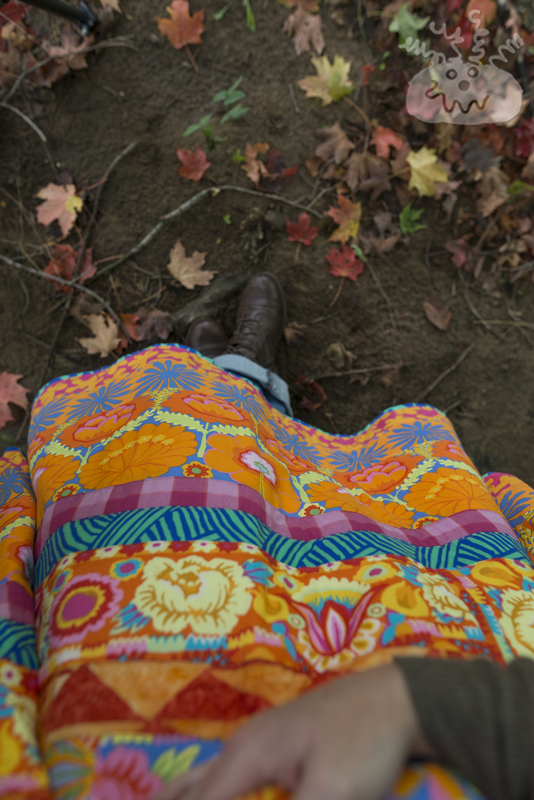 So I made a quilt to document this. I picked out about a dozen prints from the box sent to me several weeks ago and got to work. 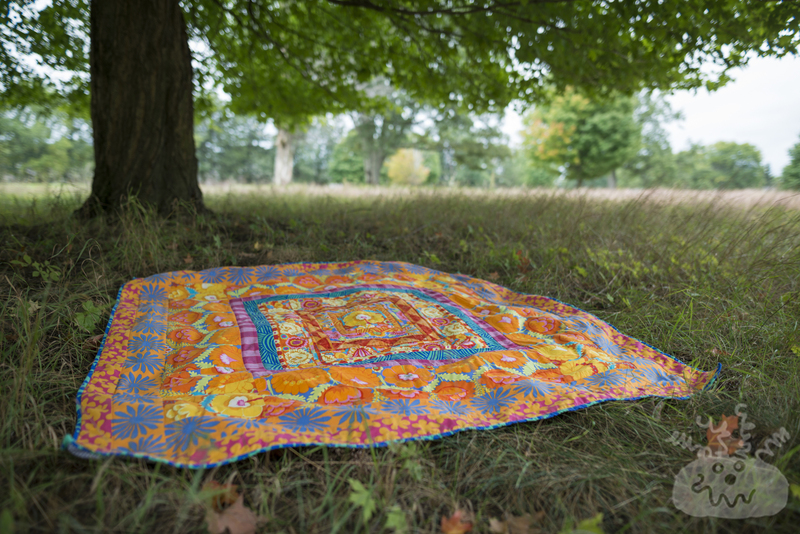 I started with a fussy cut, square floral print and built the quilt out from the center, adding borders of varying widths. Still a bit anxious and worried about all the things in life I can’t control, I surrendered to the process when I could not sleep and watched almost the entire fifth season of “Longmire,” while sewing this quilt top in one continuous, binge-quilting session. 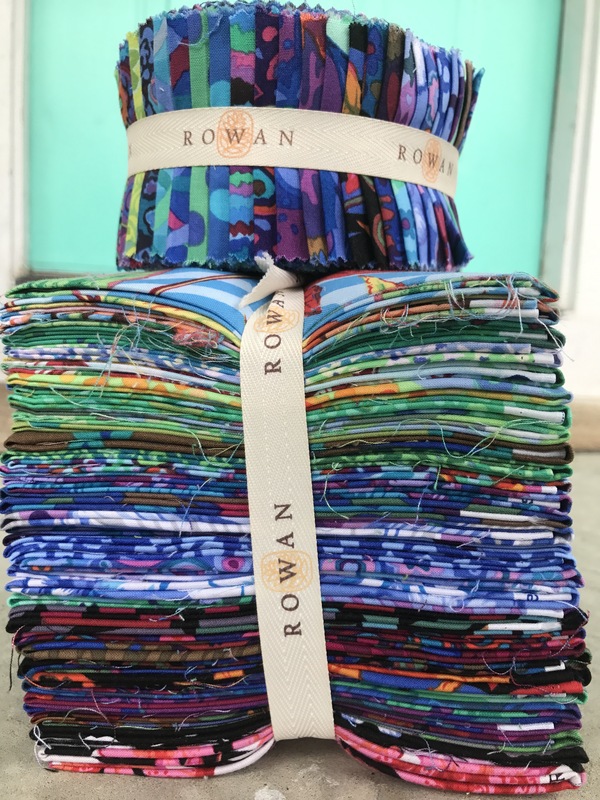 I just kept cutting strips, and adding them to the growing square, pressing seams open on the back. I was exhausted when I finished sewing the last round and really happy that I had thrown myself into this quilting project. 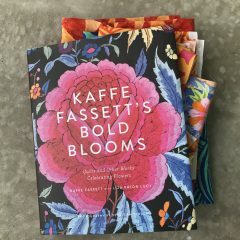 I did not have to think, I just trusted Kaffe’s color genius and boldly combined colors like I was applying to be his next studio assistant. * Days that could be the worst sometimes turn out to be some of the best ever. * “I love you,” isn’t a phrase to throw down only when we’re scared. If you feel it, say it – often. * When bad things happen, everyone wants to know what’s going on – even nosey people who aren’t invested in your life and really don’t care. Don’t let this reality rattle your cage. * Friendship is necessary. Accept the help friends offer and ask for additional support if you need it. * Gratitude is one of the best feelings ever and it’s often enough to wash away fear and anxiety about what will happen next. A special thanks to Nancy Jewell of Westminster Fibers, Inc. for inviting me to participate in this blog tour. 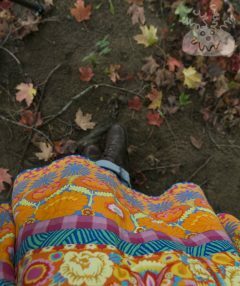 Making a quilt on deadline out of beautiful fabric has calmed my frazzled nerves once again and I’m so very grateful. 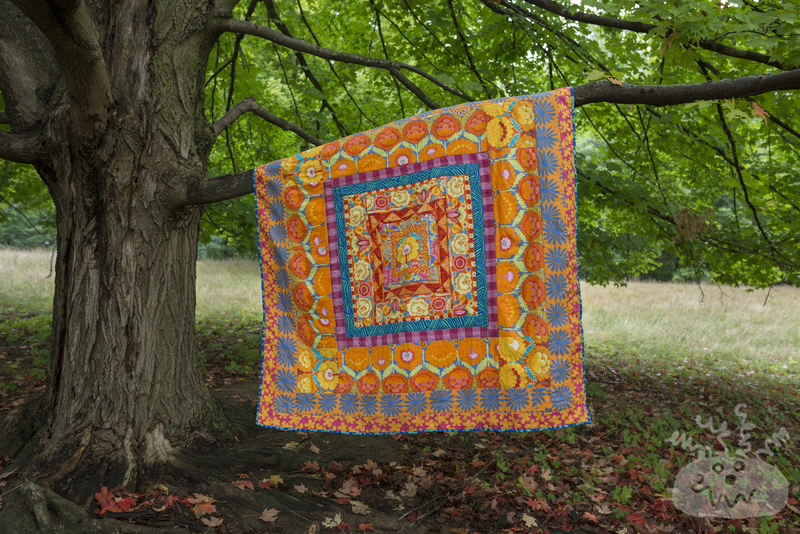 Find basic directions to make a similar quilt, on page 150 of “Kaffe Fassett’s Bold Blooms,” (224 pages, $35). 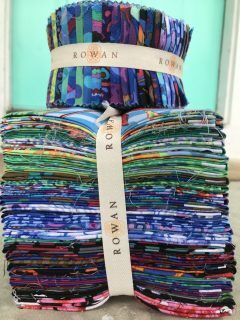 ENTER TO WIN FABRIC: Two winners will be selected, one for the jelly roll and another for the stack of fat quarters pictured. Comment below about your best day that could have gone wrong but didn’t to enter the drawing. Those who already posted comments on my previous post about this blog tour will be automatically entered into this drawing. A winner will be selected next Friday at noon EST. Good luck, everybody! *** UPDATE: Thanks to all the lovely people who posted inspiring comments below. I really enjoyed reading them all. Your stories are great reminders that life is precious and the journey is so wild, unpredictable and beautiful. The winner of the fat quarter stack is Duffy Morrison. Congrats Duffy! The winner of the jelly roll is Mark Richardson, who entered the contest on my previous post. Congrats to you both! I’ve been exploring for a bit for any high quality articles or blog posts on this sort of area . Exploring in Yahoo I at last stumbled upon this website. Reading this information So i’m happy to convey that I have a very good uncanny feeling I discovered just what I needed. I most certainly will make sure to don’t forget this site and give it a look regularly.